Believe this to be the first film released stateside by The Nobles,What a entrance,Call Of Babylon is not what the christians in America are used to and this might hurt some sales,But in the end it proves it’s points. The action and gritty gore will set the viewer back alittle and then settle in for a story of redemption,Yes,Of biblical proportions. John-William Noble was involved in alot of short films before this and has some acting skills and physical gifts that may make him into Ireland’s Christian Film Idol soon. Christie Mitchell as Noble’s sister has some plot points just slammed into her and comes out like a champion in female christianity. 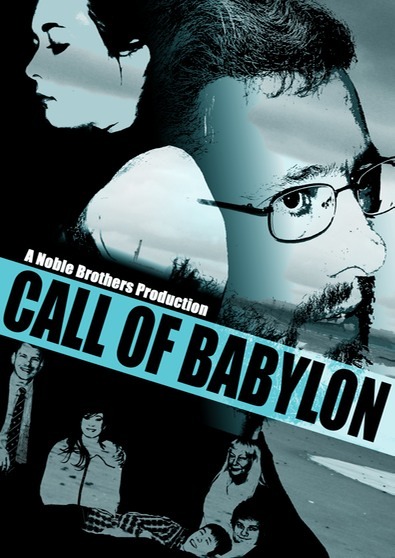 The acting is great and the film overall looks reel good cinematically, Now the marketing and poster leave alittle to be desired and again,Why should trifling like this slow down CALL OF BABYLON ? PreviousTHE HOUNDS…Nice little forest jaunt is NOT AT ALL ‘ NICE’ ! NextBLACK SULTAN – audiobook has lots of horsemanship,guns blazing and some political adventure.